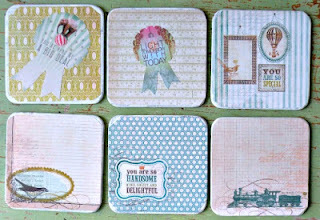 I love kitschy coasters! They make the perfect house-warming gift, entertaining accessory, or self-treat! 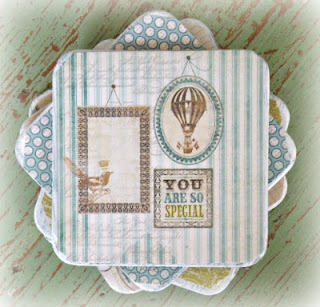 This quickie up-cycle saves on both time and money while allowing for that extra personal touch! 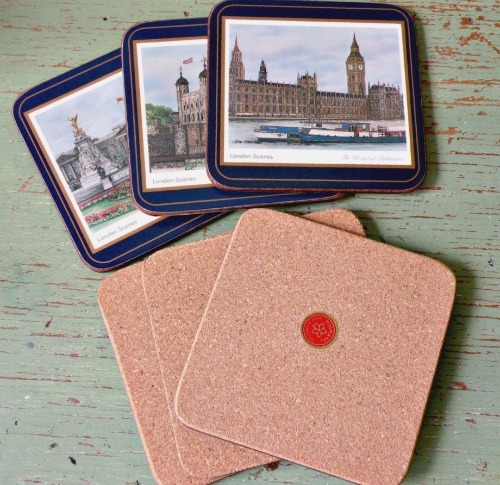 I scored this set of 6 cork-backed coasters for $1 at a local charity shop. They were good quality and in mint condition but the style just wasn't what I wanted. 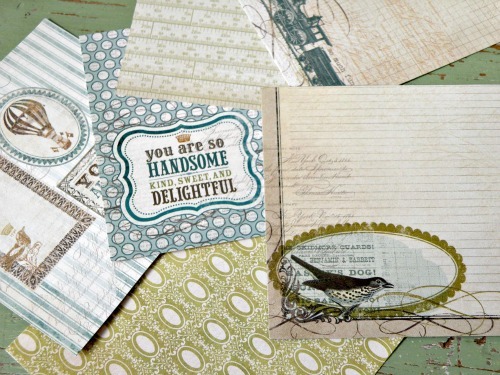 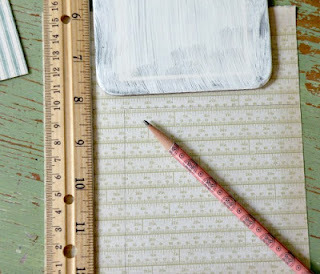 With my favorite scrapbook papers and some Mod-Podge, this make-over is up-cycling simplicity. 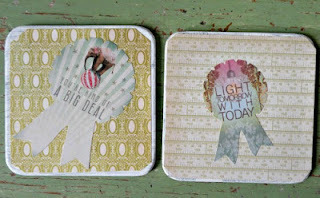 Wooooo-Hooo for the short Supply List!! Sand picture surface of the coasters, wipe away sanding residue. 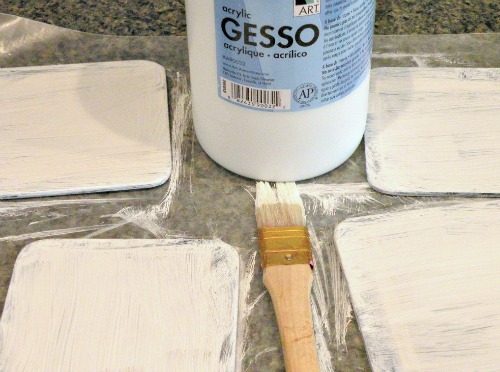 Apply a thick coat of Gesso to surface and sides of coaster. 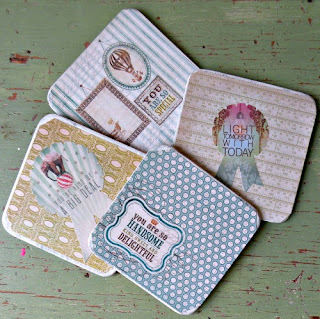 drying, trace (or measure) coasters onto scrap paper. I am using Lost and Found papers by My Mind's Eye. Once the Gesso has dried, apply a thin layer of Mod-Podge to the surface and adhere scrapbook paper to the coaster. 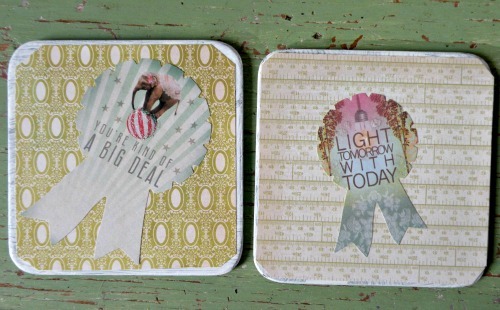 If embellishing with additional stickers, wait for the Mod-Podge to dry before applying embellishments. 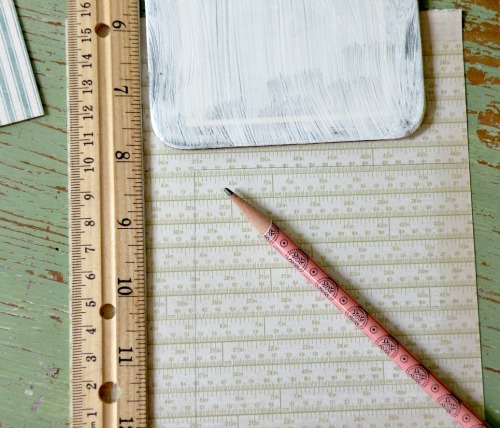 Sand around edges and corners, for a fluid look. 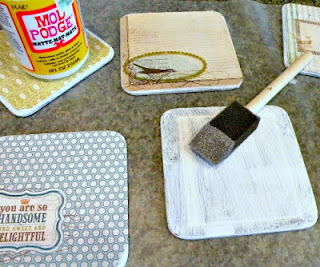 Once the initial layer of Mod-Podge is dry, add two more layers as sealer and topcoat.